Qandeel Baloch's brother confessed to strangling her to uphold their family's honor. 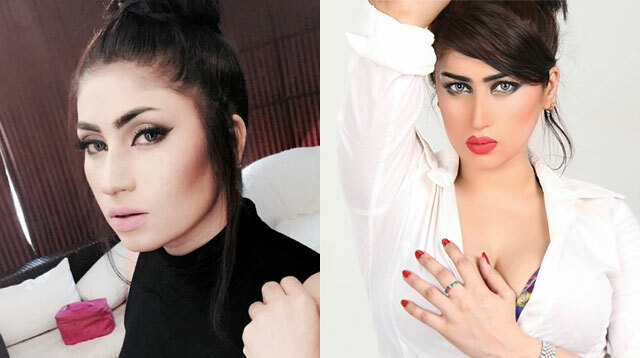 Social media star Qandeel Baloch, famous for her sassy and controversial videos, was murdered by her brother, Waseem Azeem, in their own home on July 15, 2016. Baloch’s parents found her body and lodged a police report against both of her brothers—one for the actual murder and the other for being complicit. Baloch’s father, Mohammad Azeem had only good things to say about his daughter: "She supported all of us, including my son who killed her." He also claimed that his sons have always been unhappy about her achievements. Here is one of Qandeel's more recent videos. She had been likened to Kim Kardashian for her unapologetic sexuality. In a press conference held after his arrest, Waseem defended his actions: "Girls are born only to stay at home and to bring honor to the family by following family traditions, but Qandeel never [did] that. I am a drug addict, but I was [in the right state of mind] when I murdered her and I accept it with pride. Now everybody will remember me with honor [and will know] that I have provided relief to my parents and brothers." Unfortunately, gender-based violence is something that's still largely prevalent in Pakistan. Two months ago, 15-year-old Ambreen was drugged, strangled, and then burned to death for helping her friend defy an arranged marriage and marry for love instead. Last year, the country's independent Human Rights Commission reported that there were 1,100 honor killings. On top of that, there were "over 900 cases of sexual violence were reported against women, and nearly 800 women committed or attempted to commit suicide."